Alan Pardew: At a point of no return with Newcastle supporters? Words by Kevin Doocey on September 9, 2014 . There are very few professions in the world that people often pray/beg/call for the sacking of an individual from his day job. Politics and football are an exception, and these are two things Mr. Alan Pardew is well used to both at Newcastle United since taking control in 2010. One could be forgiven for looking in from the outside and coming to the conclusion that Newcastle fans can never be pleased; after all Pardew was the same guy who led the Magpies to brink of Champions League football in 2011⁄12 only to miss out in the final two games. It could also be argued that Pardew is working in a difficult workplace under a stringent ownership led by the one and only decision maker: Mike Ashley. However, while all that is true — Pardew has done nothing but anger, disappoint and ultimately dishearten even the most optimistic of NUFC fans in the past 18 months or so. The ill-feeling directed towards the former Crystal Palace midfielder was reflected a poll taken by The Chronicle a few days ago which indicated that a strong 85% of the 5,000+ Toon fans wanted Pardew gone. You may even wonder the point of me putting a question mark in the title of this post when reading the previous line, but quite obviously - I cannot speak for every supporter, and there are without doubt a handful of fans still pro-Pardew. One could write a book on the tenure of Pardew (and such a publication will likely come to fruition in the coming years when all the dust settles) but the footballing tragedies are well documented on a new site aptly named SackPardew.com I advise you check it out, even if you are still in support of Alan managing this football club. My question is, if Pardew did manage to lead this club to a stretch of fine results, could Newcastle fans accept him once again and forget about his countless misdemeanors in seasons gone by? As I tweeted a few days ago (@KevinDoocey if you’re not following! ), even if AP guided Newcastle back to the Champions League at the end of the season, I would still have him replaced the following morning. Harsh, but he has outstayed his welcome on Tyneside, in my opinion at least. 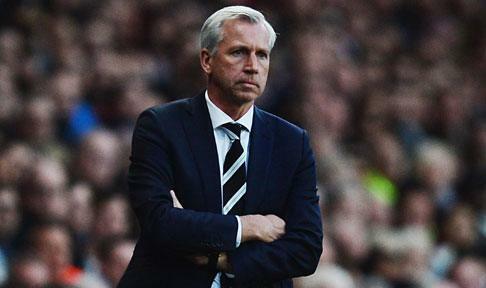 With that said and done — has Alan Pardew reached a real point of no return? I certainly hope so, but what do you think? It comes back to Ashley and what he is prepared to put up with. According to Joey Barton he is "The Ayatollah" and nothing happens without his say so. I don't hold with the view that some have about Pardew being Teflon and unsackable but i don't think he only has two games left like some media outlets are reporting. There are some tough games coming up and he has to win the Hull City at home game just to get a foothold. Southampton will take care of us without too much fuss so the pressure will really be on him on Saturday night. I had Pardew gaining 7 points from the first 18 available from the first six games and that was being kind to him. It looks like he is even going to fall short of the paltry tally i set for him before the season started. The Sack Pardew website has caused a stir but it bang on the money and when you read his excuses you could be forgiven that is smoking some good stuff. I thought the one about the grass being too long was an "Urban Myth" but low and behold he said it! The one about science being against him and the almost Stasi one about spies in the training ground tell you how deranged this man is! He has to go for me and has been nothing more than a passenger for the last two seasons. I said in another post elsewhere that the only form of entertainment on offer at St James Park this season would be watching Pardew's continuing Harry Houdini Act, And watching him dodging the bullet. It's just about how long Ashley will watch his sleight of hand team he put together by actually spending no money as usual not getting results. This side under Pardew's "Tutelage" (The Term Being Used Very Loosely) will not win many games. I just hope Ashley doesn't wait until xmas to call time on him because we could be in a sorry old state by that time!